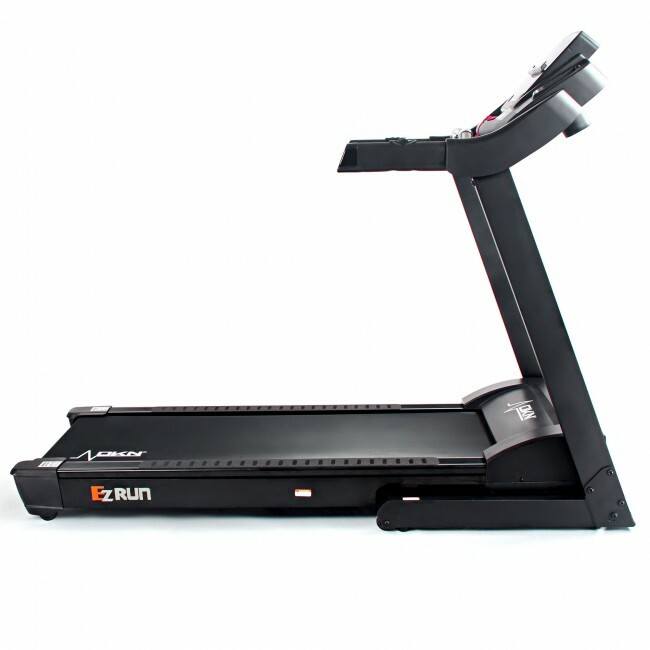 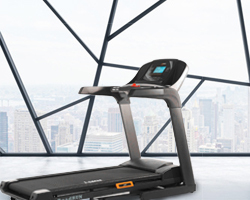 The EzRun treadmill from DKN is a full featured running machine that represents stunning value for money. 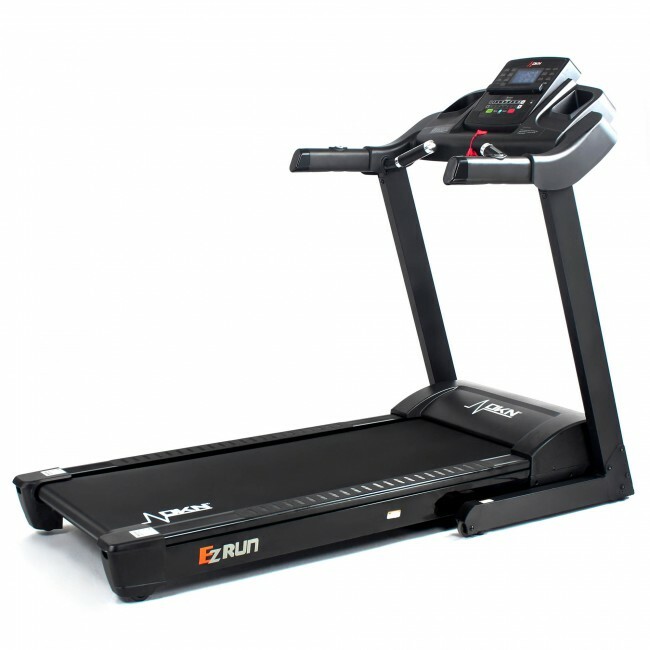 Powered by a true 1.75 horsepower continuous duty motor, the EzRun delivers a top speed of 20kph (12.4mph) which is sure to challenge the fastest of runners sprinting. 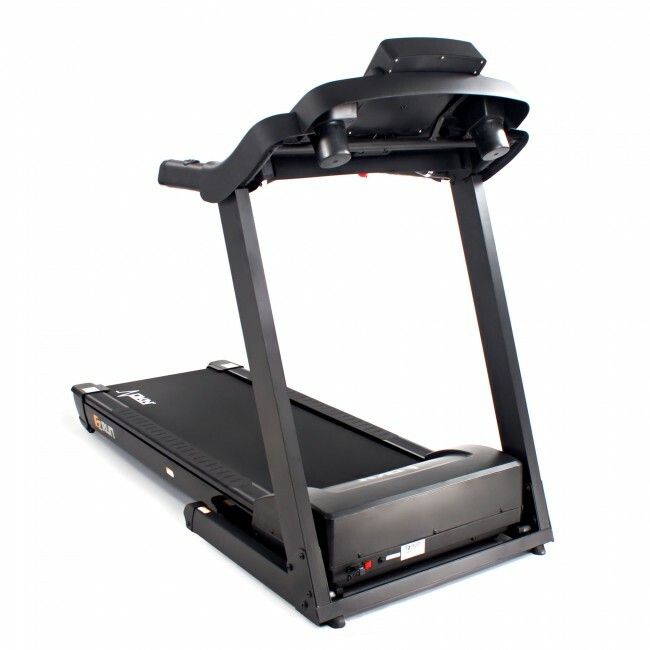 The running belt offers plenty of room with a width of 52cm (20.5") and a length of 140cm (55.1") and sits on top of a quality running deck that is nicely cushioned to reduce impact on joints relative to road running. 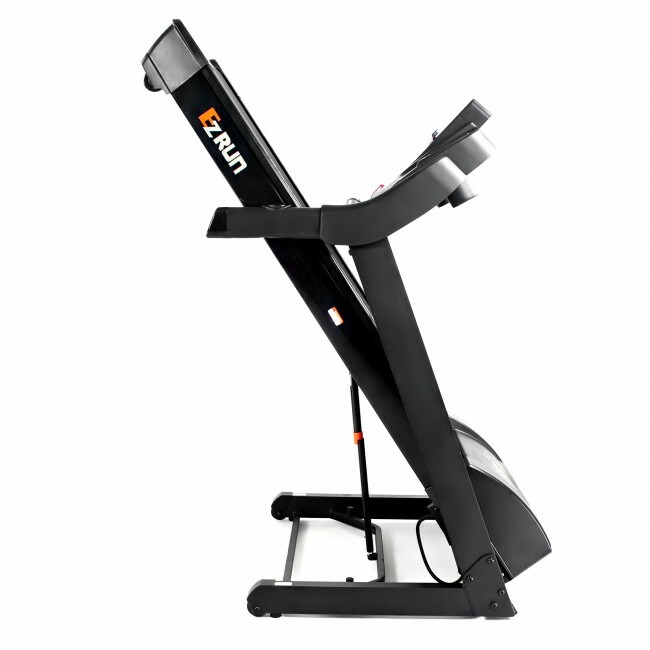 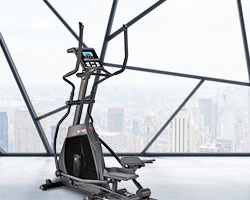 In addition, the EzRun offers an electronically powered incline range of between 0 and 12% - something that is certain to appeal to those seeking to burn more calories whilst exercising at lower speeds. 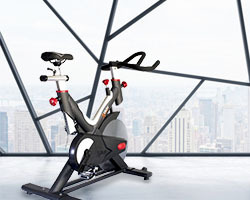 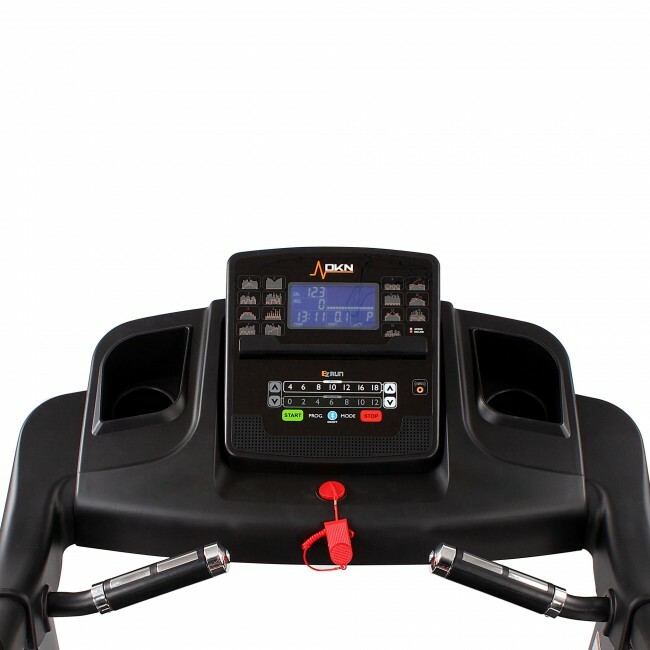 The console has a bright, back lit display providing all the essential workout stats and provides a huge range of built-in programmes, including 15 pre-set ones that are designed by a certified personal trainer. 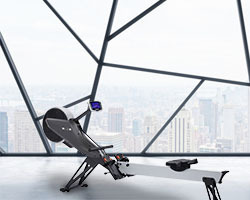 To give you access to thousands miles of live action videos, let you join scheduled multiplayer sessions and share your results, the machine is compatible with Kinomap technology. 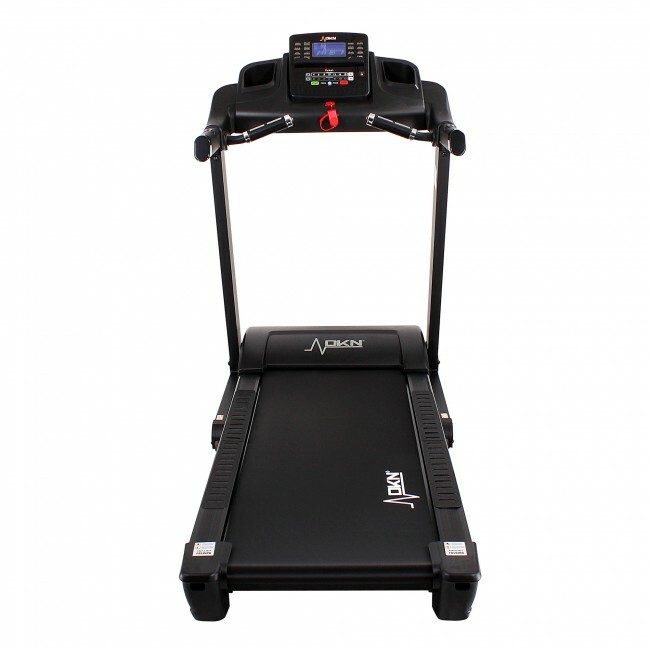 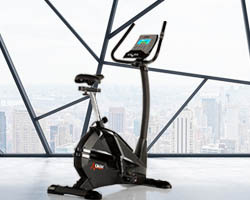 Plus, the console has DKN’s Bluetooth chip built in, making it possible to pair the treadmill with a compatible app and to measure your heart rate, there are hand pulse sensors and a Bluetooth® Smart wireless receiver for use with an optional chest strap.